Oh, the considerate havoc we will wreak, simply by giving things away! 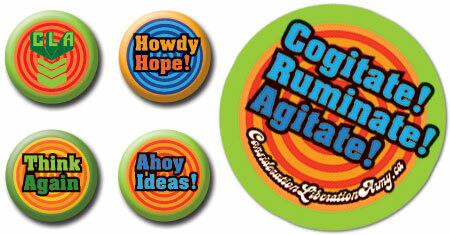 Free buttons and stickers! 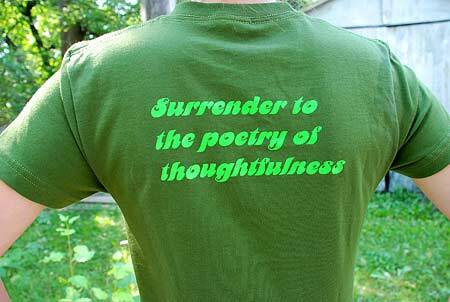 Wear your passion on your sleeve (or on your bookbag or bike) and exhort others to be mindful. 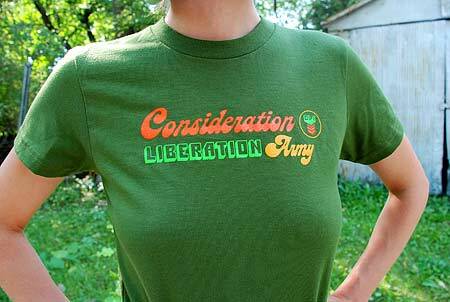 Order one free sticker and button direct from props@considerationliberationarmy.ca. $3 shipping and handling charge. And if you want the full rebel uniform, we employ the tools of capitalism for the glorious ends of the revolution. 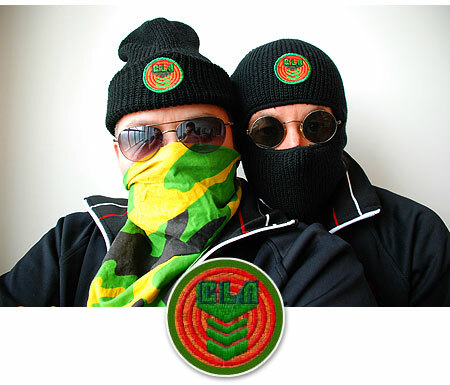 Limited Edition Watch caps and Balaclavas. 100% Canadian-bred acrylic! With full-colour CLA embroidered patch. One size fits all adults. Youth-sized balaclavas also available. $28. Free delivery in Winnipeg. $9 shipping throughout Canada. American Apparel sizes men’s and ladies S, M, L, and XL. Olive green 100% cotton. Printed both sides. $28. Free delivery in Winnipeg. $9 shipping throughout Canada.